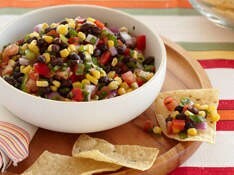 Combine tomatoes, onion, corn, and black beans in a large bowl. Add lime juice, cilantro, and spices and mix. Season salsa with salt and pepper to taste and enjoy!